HTC, known to have dominated the US Android market for a good part of last year, has fallen off a cliff, but in Q2 it forecasts that earning will improve when compared to the beginning of 2012 as it brings its One series to market. Still, its earning won’t match the high revenue and profit margins of the second quarter of last year. At the same time, HTC is facing a tough battle to reclaim its position stateside. "It's difficult to recover our market share in the U.S. We will have more balanced growth in different markets this year," Chief Executive Peter Chou said. - revenue of around $3.56 billion (NT$105 billion) in Q2 2012. This is up from a poor $2.3 billion in revenue in Q1 2012, but still 15% down from the Q2 2011 figure. - gross margin of 27%, operating margin of 11%. That’s better than the 25 and 7.5% of last quarter, but still lower than the 28.8 and 15.5% figures in Q2 2011. 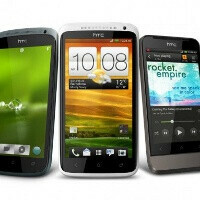 The 55% growth in Q2 revenue is promising, and we look forward to seeing how HTC’s strategy unveils further on, when the company meets competition from the upcoming Galaxy S III and the next iPhone. The galaxy s3 will put an end to those dreams. totally agree. samsung makes product that people want and they have huge pile of cash for their marketing campaign. not to mention their technology superiority over most phone companies. HTC will be alright they make a solid handset and they do have some pretty powerful phones coming out in Q 3 so dont count them out of the race yet. Though a good move for htc would be to release the oneX plus with tegra 3+ this year and get the bragging rights for the fastest phone back. Better to have a balanced growth. Their growth was too fast last time, therefore when it fell, it fell really hard. I'm pretty sure the LCD is still made by Sony. Samsung did not sell them the Amoled screens to them last time.